The Hiring Reform Initiative has completely changed the federal hiring process. This book shows you writing methods to get best qualified, referred to a supervisor, interviewed, and hired! Effectively include KSAs in your resume with accomplishments. Maximize readability with the Outline Format federal resume. Analyze vacancy announcements for keywords. Master the Assessment Questionnaire. Format your USAJOBS federal resume for readability. 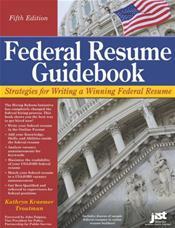 Includes dozens of sample federal resumes in the Outline Format with KSAs!